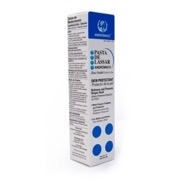 El Segundo, CA, March 30, 2018 –(PR.com)– MarcasUSA, LLC is voluntarily recalling four lots of Pasta De Lassar Andromaco Skin Protectant, 25% zinc oxide to the retail level. FDA analysis of this product confirmed that Pasta De Lassar Andromaco is contaminated with high levels of yeast, mold, and bacteria. The specific lot associated to the positive findings was never sold in the US. However, due to the amount and type of contamination the remaining four lots in the US market are being recalled out of an abundance of caution. Use of the contaminated product could result in an increased risk of infection. To date, MarcasUSA has not received any reports of adverse events related to this recall. The product is packaged in 60 gram tubes sold in individual boxes (UPC #851357003004, NDC #75940-111-60). The product was distributed nationwide via wholesale, retail and internet. MarcasUSA, LLC is notifying its distributors and customers by direct contact and is arranging for return of all recalled products. Consumers that have the product that is being recalled should stop using and return it to the place of purchase or discard it. Distributors and retailers that have Pasta De Lassar Andromaco® that is being recalled should return to place of purchase (wholesaler or distributor). Consumers with questions regarding this recall can contact MarcasUSA by phone at +1-800-428-9489 or by e-mail [email protected] on Monday – Friday from 8am to 5pm, PST. Consumers should contact their physician or healthcare provider if they have experienced any problems that may be related to taking or using this drug product. · Regular Mail or Fax: Download form www.fda.gov/MedWatch/getforms.htm or call 1-800-332-1088 to request a reporting form, then complete and return to the address on the pre-addressed form, or submit by fax to 1-800-FDA-0178. For Spanish, click here. Para español, haga clic aqui.